Yesterday, Amazon sent out a press release announcing that eBook sales have now outpaced hardcover sales and touting the increased sales of lower priced Kindle units. Jeff Bezos, Amazon CEO, stated, “Amazon.com customers now purchase more Kindle books than hardcover books – astonishing when you consider that we’ve been selling hardcover books for 15 years, and Kindle books for 33 months.” In the past three months Amazon has sold 143 Kindle books for every 100 hardcover books it has sold in the U.S. 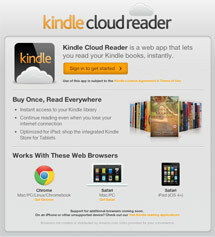 In the past month, Amazon has increased that ratio by selling 180 Kindle books for every 100 hardcover books it’s sold. 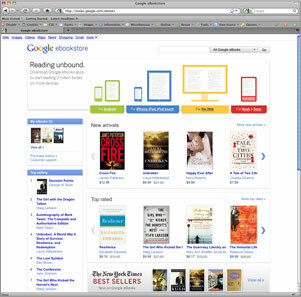 The number of eBooks sales in the first half of 2010 is more than triple the number sold in the first half of 2009. 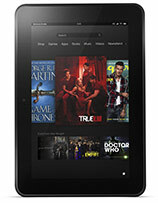 Amazon also applauds a group of five authors that have sold more than 500,000 Kindle books. Charlaine Harris, Stieg Larsson, Stephenie Meyer, James Patterson, and Nora Roberts have all passed the half million mark. The battle between eReaders got heated on Monday as Barnes & Noble and Amazon slashed the prices for the Nook and Kindle respectively. 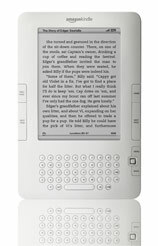 The first shot across the bow came from Barnes & Noble, which announced that the price of the 3G Nook would be trimmed down to $199, and that a new WiFi-only version of the eReader would be available for just $149. Amazon fired back later in the day when it cut the price of the Kindle to $189. 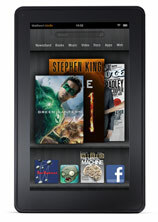 All versions of the Kindle have 3G capabilities built-in, and this new low price slyly undercuts the 3G Nook by $10. 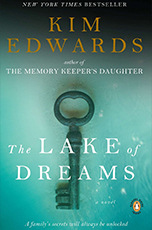 Amazon’s press release also emphasized the more than 600,000 titles in the Kindle Store, which has a larger selection of books, including New York Times Bestsellers, than either the Nook or the iPad. 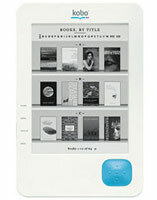 Borders Group Inc. is now accepting pre-orders for Kobo, its new offering in the eReader area. Priced at just $149.99, it sells for a little more than half the price of Amazon’s Kindle, and some technophiles believe this new device will give other eReaders some stiff competition. “It looks like a huge threat to the Kindle, and Kobo seems to have trimmed just the right features to get to this low price,” writes Charlie Sorrel on Wired.com. 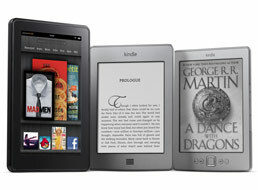 Its form factor is very similar to the Kindle, with measurements of 4.7 x 7.2 x 0.4 inches and a 6-inch E-ink display. The controls underneath the screen are more minimal, with just a blue D-pad. The back surface is rubber with a quilted texture for comfort, and the battery can hold a charge for up to two weeks, ensuring numerous hours of reading enjoyment.